"Great value for a great price!!!" All in one CRM and phone piece along with easy usability! When you disposition the phone numbers and say one is a "bad number" it will not automatically remove it from the call list and relocate it to another section of the CRM to keep track of it but more importantly remove it from the dial list so that it isn't called again and have it automated so it isn't a tedious manual process. I would also like to be able to que data by a series of rules as to what data should be called for well beyond what the advanced search does, I would be happy to speak to IT about this if they would be serious interested in implementing it. If you are considering ease of use and cost this is the best on the market. Having to manually dial clients and manually keep track of them. Probably one of the easiest to use and set up CRM's I have ever dealt with and being very IT proficient I have dealt with a lot that are less powerful and then others which are total and complete overkill like salesforce. "PhoneBurner Has Tripled My Sales.. I Can't Say Enough About This Incredible Company"
PhoneBurner has 5X my team's productivity. Not only are they making more calls and getting 3X the live answers, but their confidence has also skyrocketed. I will be a PhoneBurner customer FOR LIFE. In the first month, I had three calls asking me if I needed support help. When does that happen ever? Jeff, PhoneBurner's senior support member, helped me set up a Leadstream that allows me to segment my list based on their timezone and by how many times each lead has been called. This software is easy to set-up and I was up and running within AN HOUR. There is NOTHING BETTER than PhoneBurner for outbound dialing. And there's no contract! You are making a mistake if you don't work with these guys because this is the most effective outbound sales tool I have ever seen. Nothing. Their support is world class. The system is easy to set up and I was up and running in AN HOUR. Don't wait. Start your PhoneBurner free trial today and prepare to 5X your production. I am not an affiliate nor do I get any special treatment from PhoneBurner. I own a digital agency and before PhoneBurner we were calling endlessly. Leadstream has 5X our production and allowed one of my part-time reps to make 300 calls a day. I now have less than half the business development reps to manage but our sales have increased 3X. PhoneBurner has 3X my sales. Enough said. It would be awesome to be able to mass text from the app as well. That being said, I believe the product is the best out there for ease of set up and the ability to use very quickly. The mass texting would be a nice feature to have, but does not diminish the overall quiality of this product, I highly reccomend it! We have a regiment of sales calls that we make on certain days of the week. Phone burner allows us to have the calls organized and all we do is execute. We are able to reach more contacts in a shorter amount of time that allows us to execute our daily sales plan. The tool in an invaluable part of our sales plan! I am pleased with the Phone Burner software because it gives me the opportunity to reach out to customers that I would not be able to if i tried to hand dial them. Sales is highly competitive, no matter the industry. It requires people like myself to be in constant contact, a factor that is critical to being successful particularly in internet phone sales. I also like the fact that it is intuitive when it comes to the area code thus preventing calls too early( most of the time). I do not have any major complaints. i just wish the feature of a call coming up in the dial session when you have a call back scheduled existed without having to create a file just to dial the number. As an example , i have an ongoing session and i have a scheduled callback for 2 hours later, for me, it does not come back , i have to manually do it. the good thing is the calendar reminder in my email so I can make the call. Do it, it is an invaluable tool in phone sales. Contact with customers on a daily basis. I receive on average 1000 requests per month. i can never reach people i spoke with 10 days ago without the burner. "POWERHOUSE suite of phenomenal business building tools!" This tool is open on a monitor all day every day and for very good reason. With PhoneBurner I have control, automation, and efficiency at my fingertips! I especially appreciate the bundle of tools that reside within this must have marketing tool without having to pay separately for them! I would like to have the ability to have a drop down menu during a dialing session to choose from multiple mp3 recordings for the system to leave on the recipients voicemail depending on the situation etc. In my business with many different products and services being sold, I often find myself having to leave a live voicemail instead of using a generic one size fits all message. I would much rather be able to have the ability to record a dozen or so mp3s and then simply choose which one to leave as a voicemail. Failure is often the result of ineffective organization and follow up Phone Burner enables and empowers you to take complete control of both and do it with ease! It's a smart, intuitive tool that every smart marketer I know is using. If all you ever did is teach your team how to use PhoneBurner you will have done more for them than most people they will encounter online. PhoneBurner is a must have marketing tool that should be in every marketer's arsenal. Get PhoneBurner for a month and see if you don't agree with thousands of others who reply upon it daily to help grow their businesses the smart, effective way. I save time with initial prospecting contact as well as follow up. I am more efficient and able to maximize my time and productivity with ease thanks to PhoneBurner. This reminds me of the day I discovered marketing automation. Why did it take so long, how can it be that easy, why didn't anyone tell me about this earlier are just some of the thoughts I had before realizing better late than never. As a consultant for SMBs tools like PhoneBurner allows for scalability without the insane overhead associated with other platforms or agencies. Their support is top notch and while it is a work in progress, they listen, and if you explain your goals there's a chance they've helped someone with it before and have a workaround. We were able to go from 200 calls per agent per day to 200 calls in a few hours. The system is built around helping to increase bandwidth and productivity. With every concern, there's a workaround. I'd like a more streamlined integration with Zapier... and, they're working on it so, nothing at this time. I'd love to utilize more of the system and that's on us and we're working on it. If you're building or have an existing sales team and want to empower your sales force to grow PhoneBurner should be your top consideration. Scalability without the insane overhead. Ability to provide new employees a proving ground and promote those that perform with the help of accurate and detailed reporting available within the system. "The very best Power Dialer, the very best Company"
I was extremely glad to find phone burnerfor the following reasons. They put their best foot forward during the trial which has no time limitations only limitation a total minutes used. So if you sign up for a trial and don't get to it, it doesn't expire on you for the first 30 days it continues until you've used your minutes. Sign-up monthly, continue month-to-month. No expensive upfront implementation cost, no long-term contract. A better sign of their commitment to customer satisfaction is their rollover policy of unused minutes. Unbelievably they allow you to roll over unused minutes from this month to the next month so that your investment is protected. The PhoneBurner technology is as deeply integrated of the salesforce.com as any I've seen. It's super easy to create a list from either leads or contacts. Just select your leads upload them and you're dialing away. An extremely demanding request I had was integration with my community environment. This is tricky as many times not even salesforce.com support personnel know what's going on and how to integrate. PhoneBurner worked with me tirelessly and efficiently and very quickly to fully integrate into my own community environment, smoothly navigating a tricky technological hurdle that salesforce.com had in place. They just took care of it. Nothing at all -- they are a great company with a great product. We can reach 500% of the prospects we could otherwise reach using other methods. This is extremely important to a small business like mine. "PhoneBurner really lets you burn through your list!" 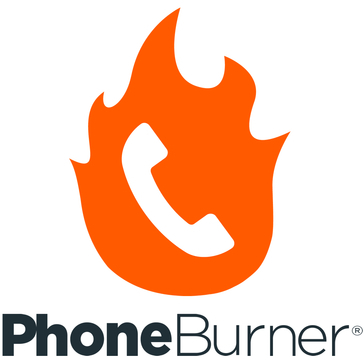 PhoneBurner, as the name implies, really does let you burn through your calling list- What an awesome tool! In my most recent dialing session, I got through about 40 calls, having three live conversations, weeding out several bad numbers, and left 17 voicemails of about 1 minute each. All in about 30 minutes. Do the math on that! This tool allows me to dramatically compress down the amount of time it takes to do that, and all from my number. That has also allowed me to effectively reach out and communicate with new prospective agents at a rate I couldn’t possibly achieve without this tool. That in turn allows me to grow my business exponentially. Can they make it free? Seriously, I haven’t found anything I don’t like about it. As I stated above, it allows me to make more calls in a shorter period of time than ever possible before, which in turn frees up more time to focus on other aspects of my business. "Great Experience , Awesome customer service"
I love the control panel and features, its simple yet very effective, the web server are stable and we have never had a problem with the functions. The customer service is outstanding , some of the best i have ever expienced. I have never had an issue getting help and when i did need help everyone went above and beyond to help me beyond any standard i have seen for a service. The only thing i dislike is the price, there is competitors like IQDIAL coming out with similar products at a fraction of the cost although i will pay more for the great customer service. I highly recommend phone burner to any business who wants to increase productions and call volume as well as lead followup or generation. They have amazing customer service. Faster Productivity with lead generation and overall client communications. "Sales Development Leader / Experienced Account Executive"
1. it works. Phoneburner allows you to load list and begin making calls with no problems no issues. The more in depth features that make it a best in class powerdialer are easily accessible and intuitive. Specifically, the ability to record voicemails and drop them as well ad reassign which email to send on the fly after the email drops is a great productivity feature. Phoneburners technical support is excellent. I have used Phoneburner's in it's native apps as well as integrated with SFDC. In either form the productivity is excellent and Phoneburner delivers. Any issue I have encountered has been answered swiftly by support. No open issues/prroblems at the moment. Phoneburner is very generous with their trials - start one today! Improving sales call productivity and results. Keeping follow ups organized and effective. The two things I liked the best were the pricing options from Phoneburner. For the same services you will be charged significantly more. They offer pay per month with unlimited contacts, where as other providers offer pay as you go. Additionally their customer support and sales team are amazing and always able to help. Setting up Phoneburner on the backend for the first time can be intimidating. Once you have done it a couple of times it is a piece of cake. Phoneburner can be intimidating on the back end. Once you figure out how to use it, your campaign phonebanks will be run much smoother. Have used Phoneburner for a number of political campaigns. Their system is perfect for contacting large numbers of voters efficiently. Their pricing model makes Phoneburner a better alternative to many of the current systems being used by the campaign. "If you're not using Phoneburner, you're burning money. " The time it saves me. I am amazed every time at the dials I am able to get through with this software. If you're making a lot of phone calls you need this product. It will save you time, money, and stress. It's one of the best finds we've ever made. Better time management, more calling ability, money saved. As my database gets larger and larger I was finding it increasingly difficult to keep up with my regular check in calls while maintain the level of service my clients depend on. Phoneburner has allowed me to do it all and better manage my day. I've used other power dialers in the past, and this is definitely this most seamless system to nurture raw data through outbound calling! Administrators should be able to view the entire data set instead of having to log into the agent's user, but they said they're working on fixing that, and it isn't a big deal as of now since my team is small. This is a great company to work with, especially if you're trying to expand/grow your business (as opposed to keeping the status quo). This is the best product for a startup sales team attempting to scale a business! Excellent customer service! A big shout out to Henry who helped in getting my account set up and Jeff for the one-one training. I have also had a great experience with Austin and George the few times I called in to clarify how the system worked. Great staff! I recently started reconnecting with my past clients and calling them one by one until I came across PhoneBurner. If you are on the fence, just try it! I think you'll love it. It would be nice to be able to pull an additional report removing bad phone numbers from a call list. I was amazed at how much more efficient I could be and the time saved using PhoneBurner. It syncs with my Salesforce and updates the activity history reducing the need to go back and manually enter notes. HUGE timesaver! "Fast and Reliable Phone Software"
Where is there to start? Phone Burner makes it extremely easy to call a multitude of people in a short amount of time. No longer do you have to individually dial each and every number. The dial tone is fast and gets you connected in no time. You get to click easy prompt buttons based on the outcome of each call. AND you get to utilize pre-recorded voicemails. You don't find yourself losing your voice after long hours of leaving voicemails to over 500 people. The functionality of this software is so easy and efficient. I love the fact that you can upload CSV files and they easily enter the system with no glitches or errors. The only thing I would say that I dislike about the product is the recording calls function. I don't like how there isn't some sort of database where it keeps all of your stored recorded calls. Even though you can access them via the software, if you mistakingly delete one it's gone forever. I feel like there has to be another way to access those recorded calls even if you deleted them by mistake on your end. Before I was having to dial my prospects individually (50+ calls a day). It would take my countless hours to have to dial them, wait for a connect, and leave a voicemail. PhoneBurner has made this entire process SO easy. I can now make 50 phone calls in less than 20 minutes and get connected to who I need to speak with and leave pre-recorded voicemails without losing my energy or my voice. I loved that PhoneBurner staff called me to make sure my system was setup correctly. What a huge burden that lifted for me. The folks I worked with at PhoneBurner made things easy. Again and again, I've been impressed with the features and service for the price. Honestly, I haven't come across anything that I have disliked yet. I'm new to Phone Burner. So, I haven't realized any benefits yet, but we hope to. This will be the center piece for our outbound dialing program for our real estate wholesaling business. "Phoneburner is an absolute MUST for any inside sales team"
The system is intuitive and easy to navigate. I like the reporting features and the efficiency of LeadStream in getting contacts out to our agents. That being said, Austin from the customer support team is the only reason we stayed with PhoneBurner. I was tasked with setting up a multiple seat account for my employer and Austin was intuitive, knowledgeable and really took the time to make sure our account was working for our business. I’ve since left that employee, but regularly recommend the service to friends in the marketing industry based on his service alone. Great! Some of your customer service agents are not knowledgeable of the system, and seem as though they’re more of a receptionist. Also, I used to be a marketing scents user, I liked the Campaign functionality. It would be great to see something similar in PhoneBurner. It has helped our agents make more calls but it’s also made keeping them accountable easy with the reporting functions. Easy to have new agents jump in without much guidance and also easy to repurpose seats for new agents. "What a difference this has made in my business!" Phoneburner is so easy to use and I get my calls made in half the time! The phone calls are random, not in alphabetical order as you select them so you have to get through the entire set or you won't know which calls it made and which ones it didn't. also you have to edit in the actual CRM. The dialing screen that goes over the CRM doesn't save the edits to the CRM itself. It is so much faster to get through a lot of calls. I am more efficient and seeing better results because I'm doing more activity. I like that you can put in a different number to show on the caller ID, you can call in through your cell phone so you have access anywhere, you can save scripts and voicemails, as well as emails. Plus it tracks it all! My phone tends to get low battery quickly while using phone burner. I am becoming more efficient with my prospecting and client check in calls. "Good program but can be a bit buggy"
Phone burner works well to auto dial a list of contacts. It also has the ability to auto load comments and call dates back to you CRM software. It recognizes your phone number and that comes up on caller ID. You can pause your session for how long as you want. Or you can hang up and resume with that list at your convenience. You can setup certain no call times and it will recognize time zone. If you can intergrate it well with your CRM then it is a goodf product. I use it to make phone calls and have my comments loaded into my CRM. "Incedibly effiecient for cranking dialing"
I love being able to sit down and make 40 dials in an hour. My output is substantially increased which means having more quality conversations. I can also set up automated voicemails and emails and send them during my call sessions which further increases my productivity. It's a productivity tool that accomplishes what it is designed to do. I've used other dialers that haven't worked well but PhoneBurner is a preview dialer that gives me all the information I need before someone picks up the phone. This is a technology that can greatly help dial output for reps. I think it works best in a BDR role for cold calling as you can get through large lists very quickly. I would say that if you manage a team of BDRs that does a lot of outbound dialing this would be a good tool to try out. The biggest thing is it gives reps a great way to increase dial and conversation metrics without having to add additional time on the phone. I've seen an uptick in all KPI just from generating more activity. I make 50 cold calls a day on this system and it is fast, easy to use, and gets the job done! I dislike not being able to add other calls to the current calling. If I get a call in the middle, I'd have to hang up, dial in again to the number that just called in order to ensure the call is recorded. Great support. I had to use them once for setting up and they were right there helping me along the way. They even checked up on me afterward to make sure it all worked out. Phone Burner is perfect of recording conversations and cold calling clients. "Phone Burner Makes Client Calling Hassle Free!" We do have multiple numbers for each of our clients. we would there to be a way to set it to only call mobile numbers in salesforce. We are solving efficiency and productivity. WE noticed how much time we are saving by not having to repeat the same voicemail and not having to go back and send a follow up email to those who didnt answer. "Powerful but lacking in functionality"
add =rand() as a formula for all leads, use that number to sort at random so you can call varied accounts and not bombard same company over and over with calls. "Great service, training, and value with PhoneBurner"
I really like the service after the sale. They reached out to me and offered additional help to customize my user settings based on my needs. I wish they had a few more options available as far as the amount of hours you could use within the service plans. Before using the service it would take me forever to make phone calls because of course there's my head and mentality involved during cold calls. After the service phone calls are breeze and I'm finding I'm just more productive than ever. "say bye to call reluctance"
This sets up my day for the calls i need to make...and saves me a lot of time. And the calls that I would prefer not to make are dialed for me, so no more call resistance! I don't like that I can't show a call or that I connected with a prospect when they call back (just can insert the timeline date stamp and notes). Take advantage of this to implement a plan and commit to the process. You'll see results fast! Email - can't get my server settings to work to send from my server. Benefits - i'm making consistent contact with partners and clients and prospects...I really like being able to follow up with one -click emails. "Takes away the apprehension for making prospecting calls"
The fact that it pretty much does all the work which normally takes much time, such as the actual dialing the phonr leaving voice mails and sending emails. the time which prospecting takes doing manually. "Phone burner is a total game changer for me . It save me hours of work each day . I am able to call "
There truly isnt anything I dont like about this product . I only dislike that I didn't find it sooner. I would definitely reccomend signing up for the free trial. It will be a game changer. Phone burner allows me to call hundreds of potential clients everyday. Ability to make more consistent, quality touches. Allows for automating marketing content. The perfect blend of ease and rubust-icity! Nothing. You guys ROCK! Worth every dollar! Worth the price! Once you use it, you will never go back to making manual calls/emails again! I would like an API to Zoho CRM (This is a user issue not Phoneburner). Benefits are many: more market share, brand awareness, more money, more time! "Fantastic sales tool to boost revenue"
This software is fantastic. My favorite part is that there is no lag time between making dials therefore more efficiency and more sales. I dialed on phoneburner for 2 hours straight and booked 22 in home appointments for my life insurance business. Usually that would take me 6-8 hours.. Very impressed and have already recommended to my entire sales team. Over the long run I see this software increasing my team's revenue by 50% within a few months. Having a texting feature built in would be nice. "Gamer Changer in my business"
I wish I could make more of a tab where i can go into each of my call list and look at them separately instead of using tabs only. Or they need better training videos to help me learn. I love the support we get from PB and their team! They take feedback for future improvements and implement! Nothing really, they're very responsive. "Best Dialer System in Years!" The convenience of being able to upload new accounts to be called and the simplicity of being able to configure the application to work to your liking. If anything, how you cannot remove a mass number of accounts from a specific folder via a CSV. Play around with it, get used to the product. Using Phoneburner to contact new leads and also running it on our Collections Campaign. 4x the contact as hand dialer and my reps are not getting as burnt out as they did before doing the same old tedious work. "Great caller with even better support team!" If you have a need for high touch points or to leave a cookie cutter Voicemail to multiple contacts, this is a great platform. The "Cadence" abilities are lacking. We are forced to utilize another system to track the sales cadence. Also, the data integration is tough. If you have updated contact information from another source you cannot auto update the contacts already in the system. You have to manually change each one. Call quantity. Increased touchpoints on leads. Automating sales tools. "2 hours on Phoneburner complete the work of 8 manual dialing hours. " It's very user friendly. Easy to upload contacts and start making phone calls. Doesn't integrate to the software I use. I was understaffed and manual dialing was not generating enough right party contacts. When I started using PhoneBurner it was generating calls equivalent to what 2 employees generate when they dial manually. "Awesome System to Make $$$ on the Phone"
Drastically increase the number of prospects talked to in an hour, plus the CRM portion built in to follow up with clients when you call back. Calls are much more efficient. No more dialing manually or leaving having to say each voicemail. Time tracking for admins tracking telemarketers. Reaching as many contacts as possible as efficiently as possible. The PhoneBurner system is very intuitive and user-friendly. It creates an excellent resource to maximize the efficiency of your sales team. So far, there is nothing I dislike about it. This is so much better than SalesForce for so many reasons. We can improve the efficiency of our phone sales team. It should increase our call volume several times over, and hopefully result in much higher sales volume. "Phoneburner is "must have" recruiting tool"
It's very cost effective to get set up and running. Nothing thus far. Happy with early positive results. We have had it running for just a few days and have already acquired a customer. No capital expense and can be spun up in minutes. We're happy with it thus far. * We monitor all PhoneBurner reviews to prevent fraudulent reviews and keep review quality high. We do not post reviews by company employees or direct competitors. Validated reviews require the user to submit a screenshot of the product containing their user ID, in order to verify a user is an actual user of the product. Hi there! Are you looking to implement a solution like PhoneBurner?